When will be Keith Richards' Lost Weekend next episode air date? Is Keith Richards' Lost Weekend renewed or cancelled? Where to countdown Keith Richards' Lost Weekend air dates? Is Keith Richards' Lost Weekend worth watching? Join Keith Richards for his Lost Weekend, from Friday through to Sunday, as he curates a ‘pirate broadcast' on BBC Four. With some of the programming not being revealed in advance, viewers are invited to join him across three nights for an extraordinary televisual journey...Keith takes control of the channel from dusk till dawn - a time when he is normally awake - keeping viewers entertained through the twilight hours with his personally selected programme choices. As well as hand-picking all the shows, Keith also features between them in an intimate and in-depth interview, specially filmed for the weekend by Julien Temple, making this a unique television experience for viewers. Keith's choices tonight include the film noir The Sorcerers; Hitchcock's masterpiece The 39 Steps; and Julien Temple'sJulien 75 minutes long director's cut of his documentary - Keith Richards - The Origin Of The Species. The night includes Keith playing guitar in the studio. In amongst this and rare music archive, performances and random night imagery, Keith enlightens viewers on his world philosophy, his views on the technological revolution, and addictions - to the internet and other substances - as well as his love of books. Keith also talks about his relationship with his parents, the process behind writing his book, and his turbulent times with the police. Keith shares his views on fame, interspersed with a range of rare archive footage of the Rolling Stones. As well as his ruminations on being nocturnal, he talks about the power of humour, showing his favourite cartoons and the comedy shows that resonate with him. In the hours between dusk and dawn, when Keith is normally awake - viewers will journey through twilight hours with Keith and his personally selected programme choices. As well as hand-picking all the shows, he also features between them in an intimate and in-depth interview, specially filmed for the weekend by Julien Temple, making this a unique television experience for viewers. His choices tonight include the film noir I Walked with A Zombie, Italian classic The Bicycle Thieves, and Julien Temple's iconic film London: The Modern Babylon. There will also be cartoons and comedies, and viewers will see rare archive music performances from Buddy Holly, an exceptional Johnny Cash broadcast from 1968, plus extraordinary archive of Jimi Hendrix with Keith. In the interview, broadcast across the night between the programmes, Keith gives his musings on being nocturnal and watching many dawns break. He talks about how his background has helped him navigate being part of the establishment. On music, Keith talks about how he squares his rock n roll image with family life and why he chose the guitar over other instruments, and he reveals how he wrote Satisfaction - one of the most successful rock n roll songs of all time. From 7pm through to 4am, the audience will see some brilliant television and spend a unique night with one of the most famous and intriguing people in the world. Lost Weekend continues on Sunday night. 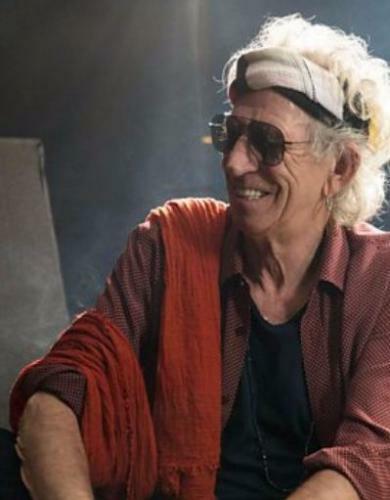 Following Friday and Saturday night, viewers are invited to join Keith Richards as he takes control of BBC FOUR for the final instalment of his Lost Weekend ‘pirate broadcast'. His choices tonight include the classic 1975 film The Man Who Would Be King starring Michael Caine and Sean Connery, film noir Out of the Past from 1947 starring Robert Mitchum, Jane Greer and Kirk Douglas, and Julien Temple's iconic film Pandaemonium set during the French Revolution. The night begins with Keith's musings on pirates and his run-ins with authority, set amongst his programme selections which include cartoons such as Captain Pugwash and comedies and extraordinary archive of John Lennon and Jimi Hendrix. Keith talks about his nomadic life and his time playing guitar with tribes across the world. Keith reflects on evolving and growing old, his image, his introverted nature, and his life longevity… which has defied all expectation. Those who make it through to 4am on the Monday morning will have seen some brilliant television and experienced a truly unique three nights with one of the most famous and intriguing people in the world. Keith Richards' Lost Weekend next episode air date provides TVMaze for you. EpisoDate.com is your TV show guide to Countdown Keith Richards' Lost Weekend Episode Air Dates and to stay in touch with Keith Richards' Lost Weekend next episode Air Date and your others favorite TV Shows. Add the shows you like to a "Watchlist" and let the site take it from there.